I was Brooklyn Art Council's on-staff designer for about a year and a half. These are a few examples of my work there. 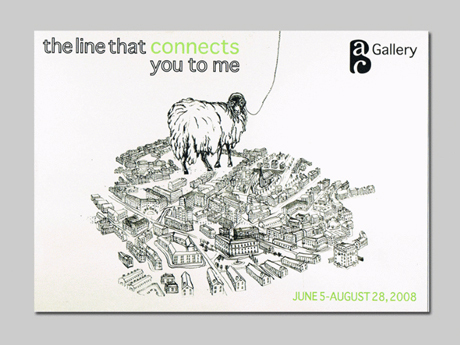 A postcard announcing an exhibition at BAC Gallery. Another postcard announcing an exhibition at BAC Gallery. 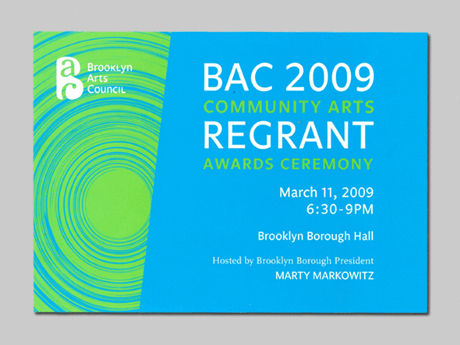 This was the postcard announcing BAC's Regrant Awards. 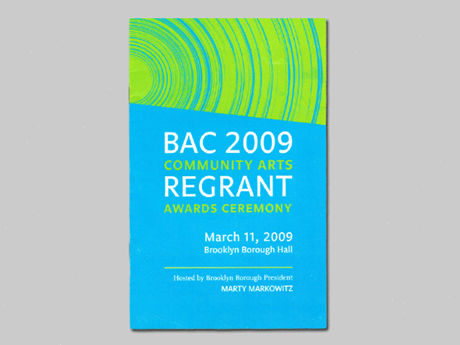 This was the program for BAC's Regrant Awards.